Show Milliseconds. Now you can display the three file times (created, modified, accessed) with milliseconds precision. NTFS provides a theoretical file time resolution of 1/10 of a microsecond (a microsecond equals one millionth of a second). Note that with today's hard and software the correlation of such granular time expressions with temporal reality is less than perfect, but who knows what's coming. At least the present data structures are ready for such precision. 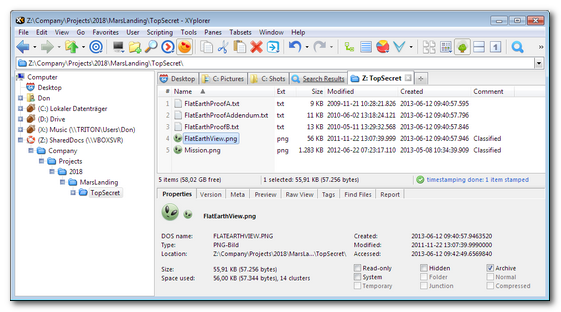 From this version onwards XYplorer can display, report, and edit file times with the maximum precision available under NTFS. Stamp Milliseconds. Time stamping now supports milliseconds precision. Note that this high precision time stamping works as well when the list does not display milliseconds. The maximum resolution of seven decimal places is supported at any time. Report Milliseconds. Reporting now supports milliseconds precision. 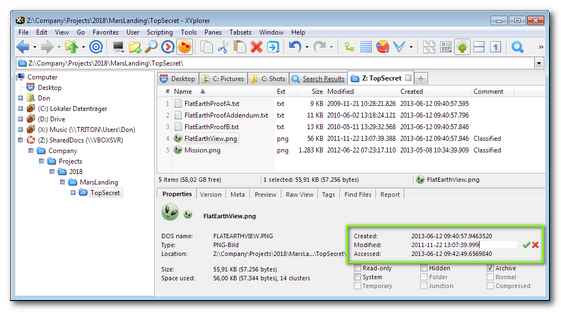 Let's use the Report tab on the Info Panel (F12) to create a report of the current file list with milliseconds precision. "Show Milliseconds" (see above) has to be enabled because this type of report (there are others) will exactly reflect the current display formats of the file list. Illegal Filenames. 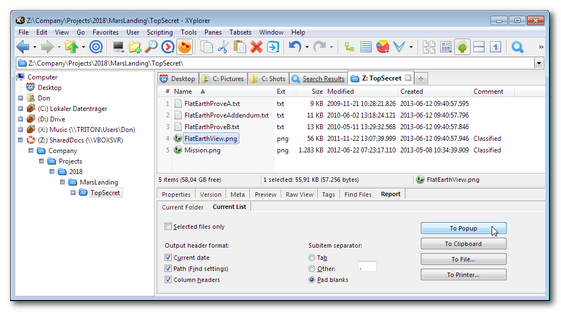 Now XYplorer will smoothly handle files with a space at end of the filename. 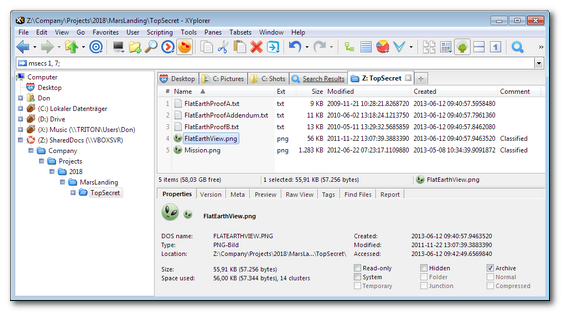 This is illegal under Windows but you can get such a file via download from the web. Windows Explorer and other file managers cannot handle this and you are stuck with a file that cannot be renamed nor deleted. 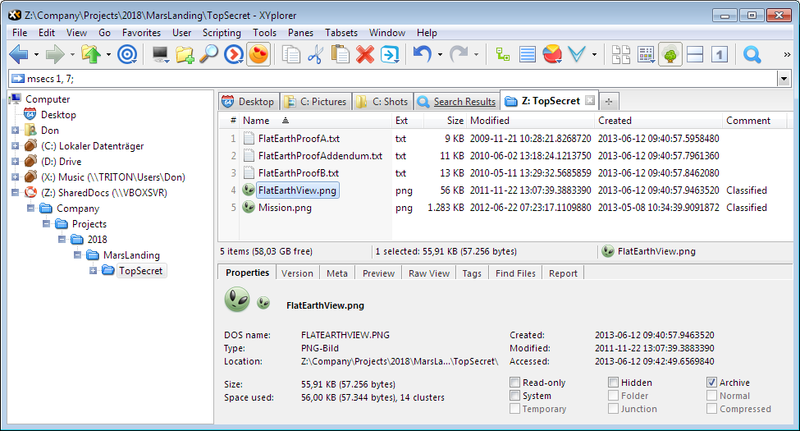 XYplorer will now silently normalize the filename (remove the space) once you click-select the file in the file list.